In September 1947, ’47, the Magazine of the Year, published an article contributed by Juanita Wegner, who had just become an American citizen. Her deep sense of euphoria about living in a nation with so many freedom’s was reflected in her heartfelt testimony. Wegner had spent most of her life on the run from the Fascists of Austria, Italy and Argentina, and all her life she had wanted to become an American. Wegner soon realized what the judge meant as she began to listen to her neighbors complain that almost two years after the war, sugar and avocados were still not available, and that one had to shop at two or three stores to get the groceries they needed. She heard complaints about the shortage of maids and that closets were too small and a much larger house was needed. Today, many have forgotten what it is to be an American. Freedom is taken for granted, laziness is rewarded, gratefulness has been replaced with thanklessness, charity has been tarnished by profitability, and becoming an American and all it stands for is no longer important to immigrants. A disappointing fact is that many Christian non-profit organizations are involved in helping ungrateful immigrants for less than charitable reasons, and are gaining huge profits from lucrative contracts with the federal government to “resettle refugees” (the UN term for immigration) to the United States. In 2015, the State Department, through the Bureau of Population, Refugees and Migration, and the Office of Refugee Resettlement, spent more than $1 billion on resettlement programs, much of which goes to voluntary agencies (VOLAGS), or non-profits, such as; Catholic Charities, Lutheran Social Services, World relief Corporation, Church World Service and Domestic and Foreign Missionary Service of the Episcopal Church of the USA (also referred to as Episcopal Migration Ministries). Five of the top nine VOLAGS are Christian non-profits. The other four are Hebrew Immigrant Aid Society, International Rescue Committee, US Committee for Refugees and Immigrants, and the Ethiopian Community Development Council. After providing three to four months of resettlement services to illegals, these not-for-profit VOLAGS stop providing services and are no longer required to keep track of the refugees or their location within the United States. 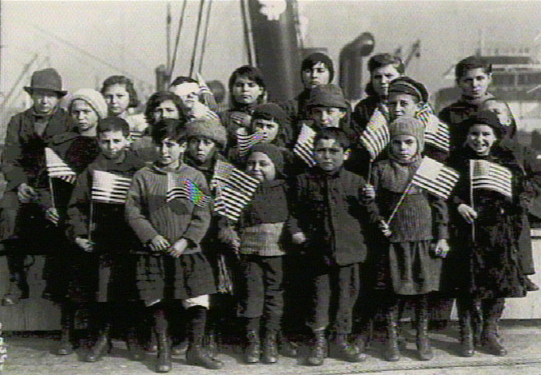 Unlike the past when grateful immigrants tended to assimilate in neighborhoods near the churches that helped them, and then became some of their most passionate parishioners, many of the immigrants today refuse to assimilate and instead prefer to retain their own culture, their own god, their own places of worship, their own laws. They do not aspire to become Americans and in fact once here, feel empowered by political correctness to denounce the American way of life and demand special treatment. America’s poverty rate, especially along the Appalachian stretch, all the way from southern New York to northern Mississippi, has dozens of little towns that are so impoverished they look like they have been through the war, thanks to Obama’s relentless assault on the coal industry. More than 40 percent of the population there, including three-quarters of those with children, are experiencing a seemingly hopeless situation with factory shut-downs, higher utility rates, higher food and transport, and deplorable education. Should extreme poverty exist in a country that is spending billions to attract and provide for foreigners who refuse to pledge allegiance to our flag and the Constitution of the United States? Immigration in its present form must end because it is being exploited to accelerate the demise of America. Every act of terrorism committed by improperly vetted “refugees” will only serve to advance the left’s calls for gun control and our loss of freedoms. It is Obama’s Jihad on America! Christmas is a special time to give thanks to God because,”Every good gift and every perfect gift is from above (James 1:17) and to remember just how lucky we are to be Americans! This entry was posted in Featured Articles and tagged Christian non-profits, featured, Immigration, Obama. Thank you, Cynthia. Wonderful article!